China travel - As a British based tour operator, when you choose Magical China you have the full financial protection offered by a holder of the Air Travel Organisers License. As one of the earliest tour operators in the UK providing tours to this country, we are familiar with the true diversity of cultures and scenic attractions of the country. All tours are small group tours, well-paced and tailored to provide the magical and ultimate experience for our travellers, to capture the true beauty of this country. China travel - we are offering magical tours for all your travel needs to Japan and other Far East countries. Provides service like no other, we give meaning to your travels, aiming to create memories and satisfaction. We advise on and organise individual, group and business travel. We also provide a wide range tours and multi-centre holidays to Japan, Vietnam and Cambodia . 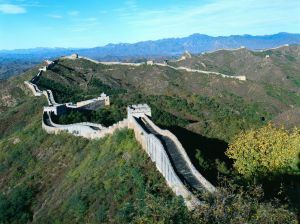 Magical China is one of the first and leading Tour Operator specialising in holidays to China. All our staff have either lived or travelled extensively to the countries we promote, so you can speak directly with the specialist who has planned your tour. We only select prestigious hotels which provide excellent comfort and top class service to our travellers. The hotels and cruise liners are regularly inspected to ensure high quality service for our customers enjoyment & satisfaction. They are also rated by the Chinese government in four or five stars. In some relatively remote areas where there are no such standard, one of the best accommodation are provided. China is a huge country in terms of geographical scale and has a diversify culture. Although most of our tour packages are suitable to all travellers, it is advisable to bear in mind the degree of walking and climbing involved. Some main sites are a mile in length, and even the ones situated on level ground, it can be made up of many steps to climb and descend. Therefore, it is worth to consider the fitness and agility to travel with this requirement. Places such as Tibet, Silk Road, Inner Mongolia generally has a lower standard in terms of hotel accommodation and food compared with similar star accommodation in the rest of China. Please appreciate we always provide our travellers with one of the best accommodations in the area. When travelling by train, we choose soft-sleeper (the best class available). Every cabin contains 4 beds and it may be shared by male and female travellers. The ideal place to see pandas are Chengdu Panda Breeding Centre. Wulong Panda Reserve is also a good place but you will need serveral more days to spare to avoid dispointment because the pandas do not often show up. For travellers do not visit these places we can arrange a trip to the local zoos but please note some travellers may find it a bit distressing as some animals in there are not kept as well as you would expected. All British travellers are required to obtain visa to China. Applications can be submitted either by yourself to the Embassy/Consulate or or through Magical China. For the relevant information and download Visa Application Form, please visit Chinese visa page. We advise travellers to be immunised against Hepatitis A, Typhoid, Tetanus and Polio. Please consult your doctor for further details. The basic unit is Chinese Yuan. £1 sterling equals about 13 Yuan. Travellers cheques can be exchanged in hotels, airports and Bank of China. Some major Bank credit cards are accepted in China such as Visa Card, Master Card, American Express Card etc. China is 8 hours ahead of GMT. In the British Summer Time, it is 7 hours ahead. China is a vast country with wide ranging climatic conditions. The weather and its temperature can be very different between the South and North. Our tours usually take in a little of everywhere and we will advise you when and where to go based on the regions your trip will cover. The electricity supply in China is 220 volts. Plugs are normally twin-pin flat (5 amp). However, they do vary in different cities. It is advisable to bring along a set of international adapters. In General, 20 kg per person maximum check-in baggage is allowed. We advise you to drink bottled water or boiled water. Chinese tea or coffee is served in hotels. Beer and soft drinks can be purchased in hotel bars, shops and supermarkets.